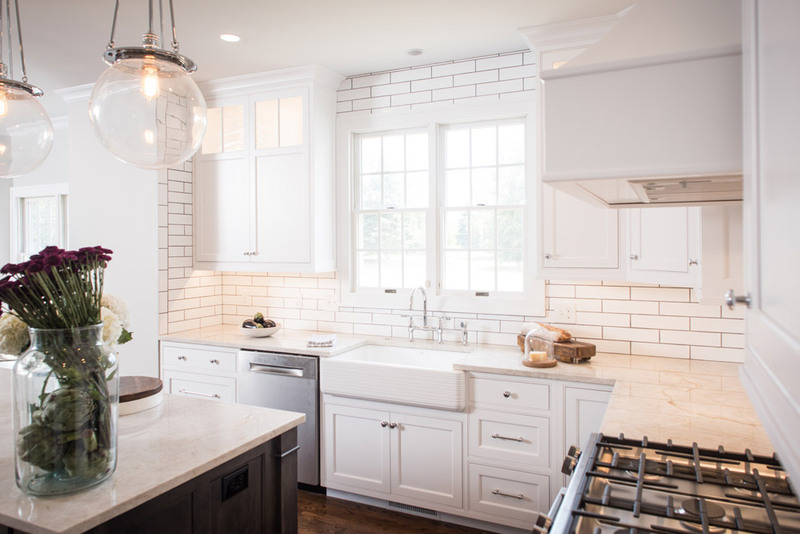 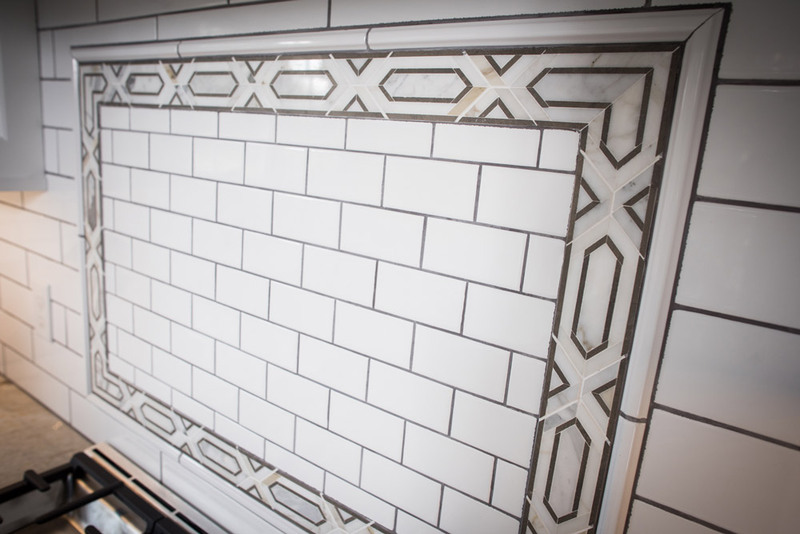 This classic kitchen design was a nod to Schoolhouse style with modern day amenities for a young family. 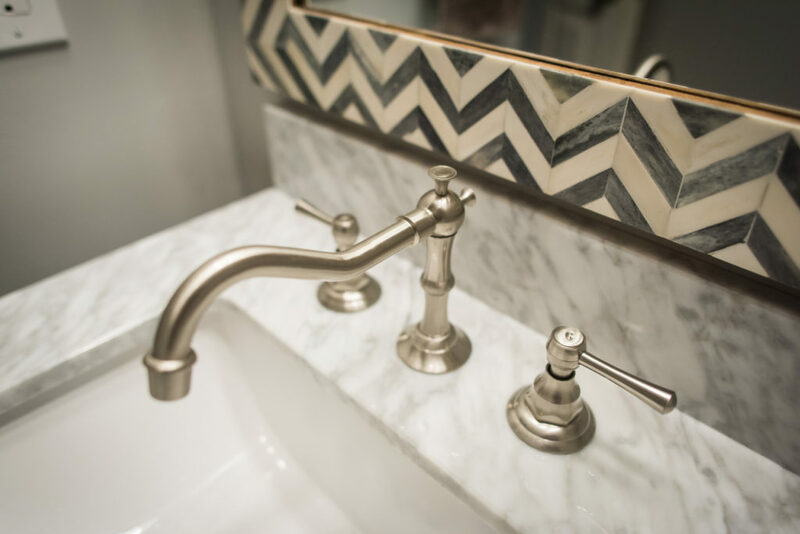 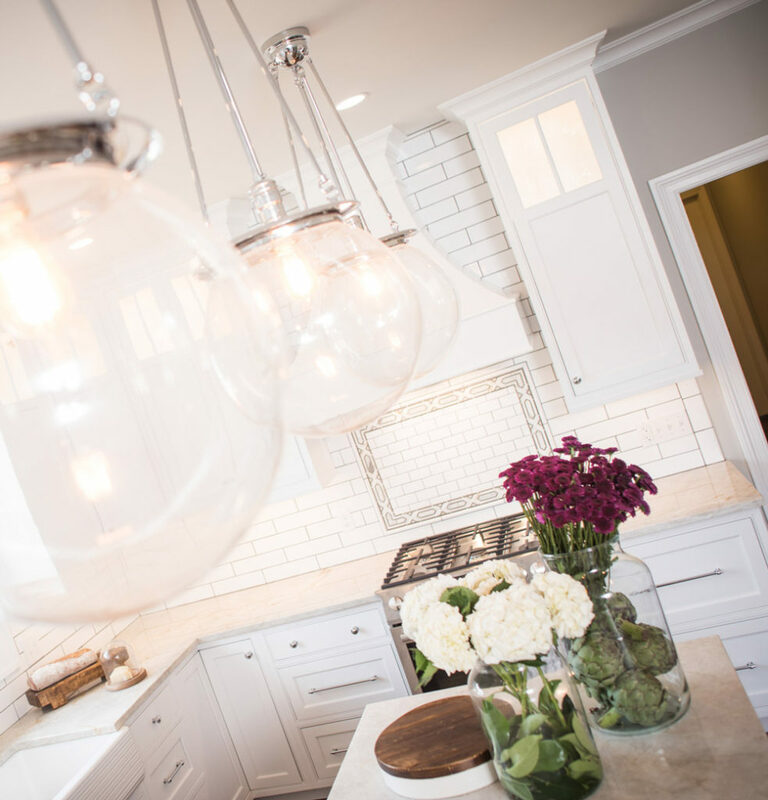 The retro faucet, orb pendants and dark grout are reminiscent of days past. 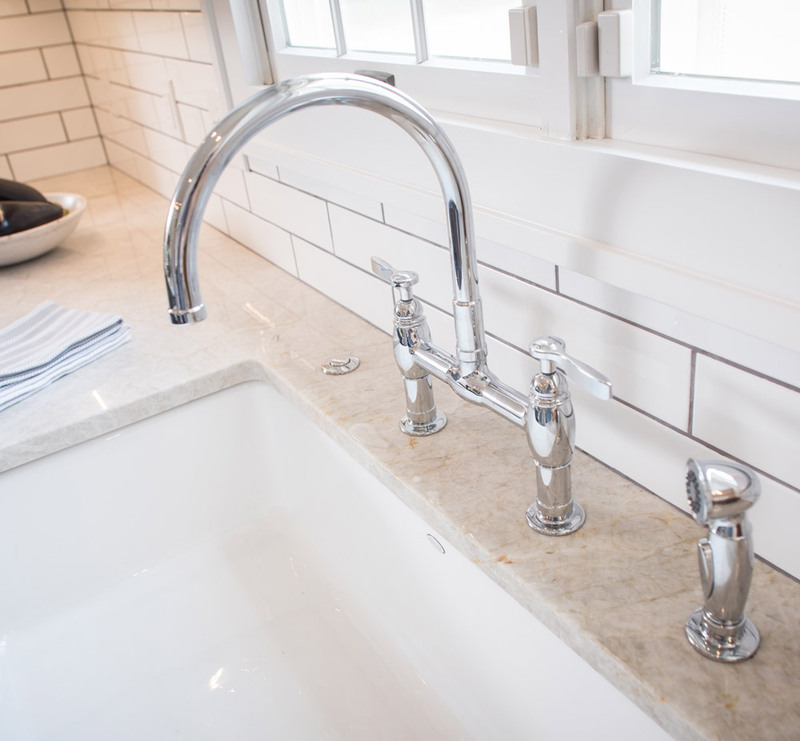 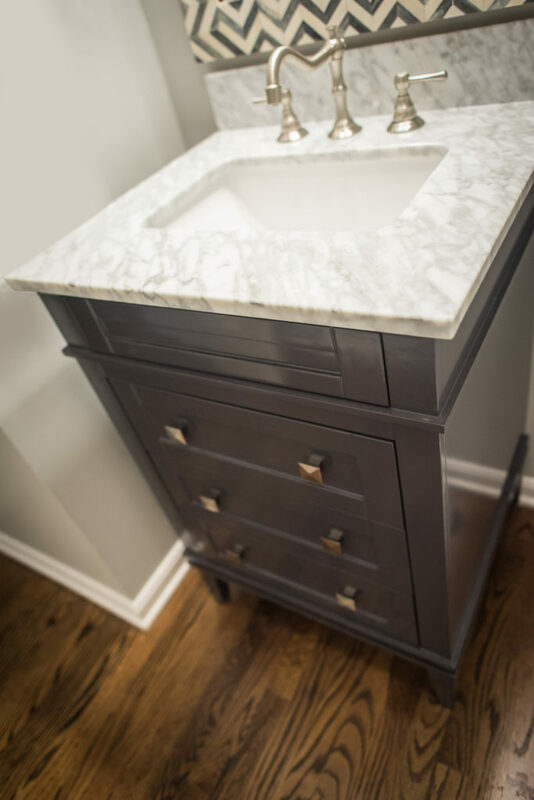 However the modern undulated farmhouse sink, marble mosaic backsplash and grey stained contrasting island are all contemporary features. 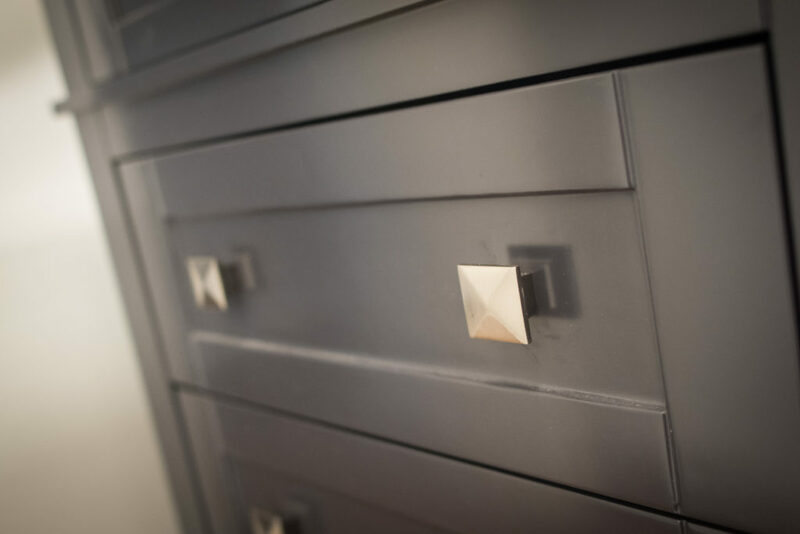 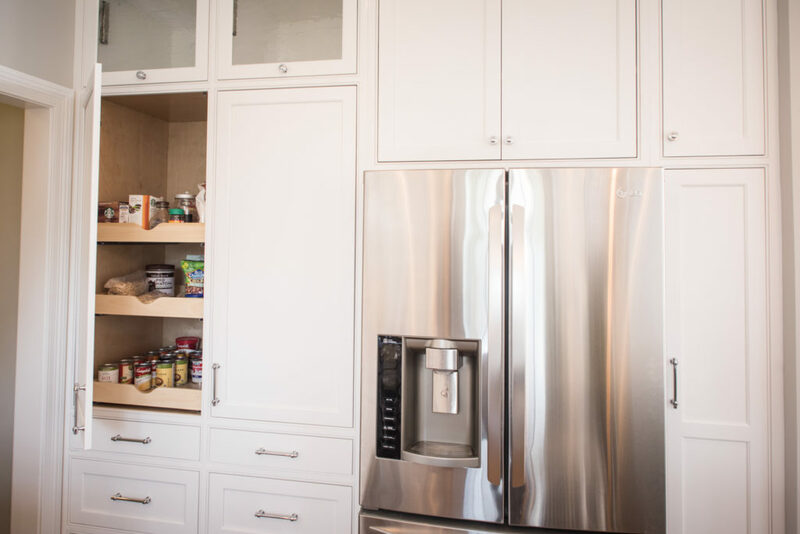 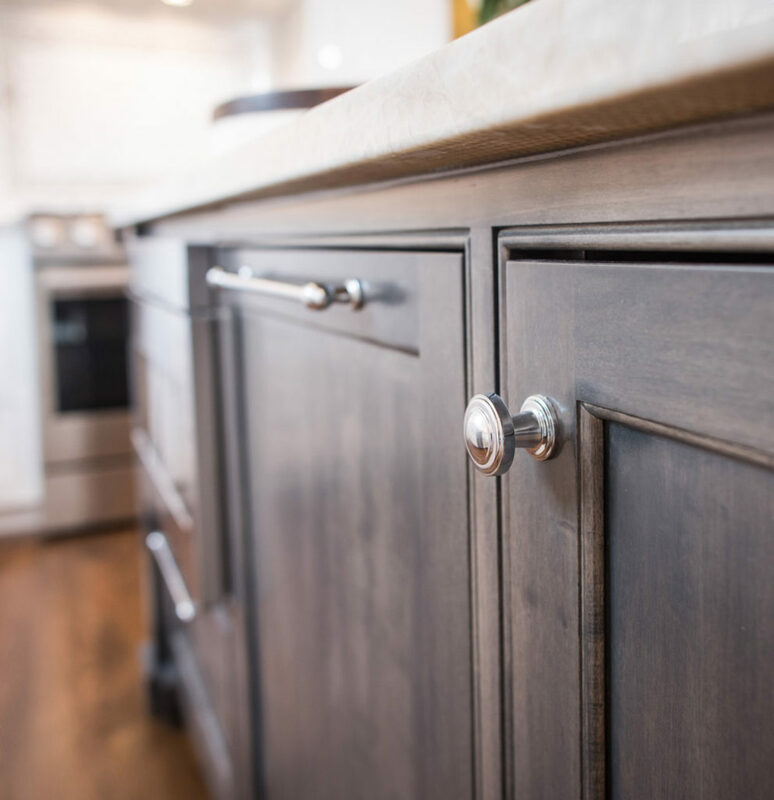 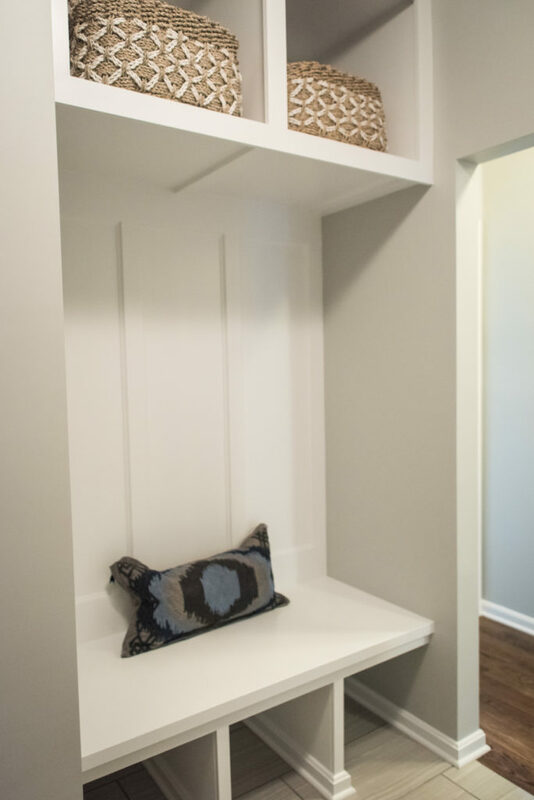 Custom cabinetry designs allowed much needed additional storage including a built-in window seat, full height cabinetry with lighted uppers and a large pantry with pull-out shelving.